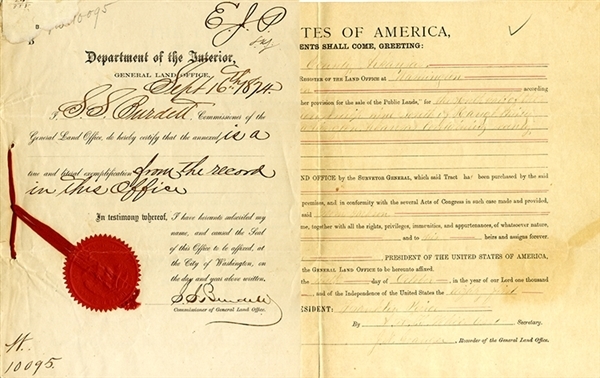 Document Signed by Franklin Pierce by his secretary, 1pp. oblong folio, October 10, 1856, for land issued to Isom Jackson of River County, Arkansas. With attached Department of the Interior document. Fine condition.